In love with Formula 1: Spanish GP / Qualifying: Verstappen sensationally fourth in his first RBR qualifying! Spanish GP / Qualifying: Verstappen sensationally fourth in his first RBR qualifying! I had looked forward to the Spanish GP weekend with huge anticipation, as I could hardly wait to see, how the Dutch teenager Verstappen was going to perform at the wheel of the RB12. It´s definitely not easy to jump in a new car with a different power unit in the middle of the season, but Verstappen proved already in Friday´s practice sessions, that he has the skills -not only to drive- but to cope with the pressure, too. The young Dutchman made an impressive work and seemed to adapt to his new car impressively well. 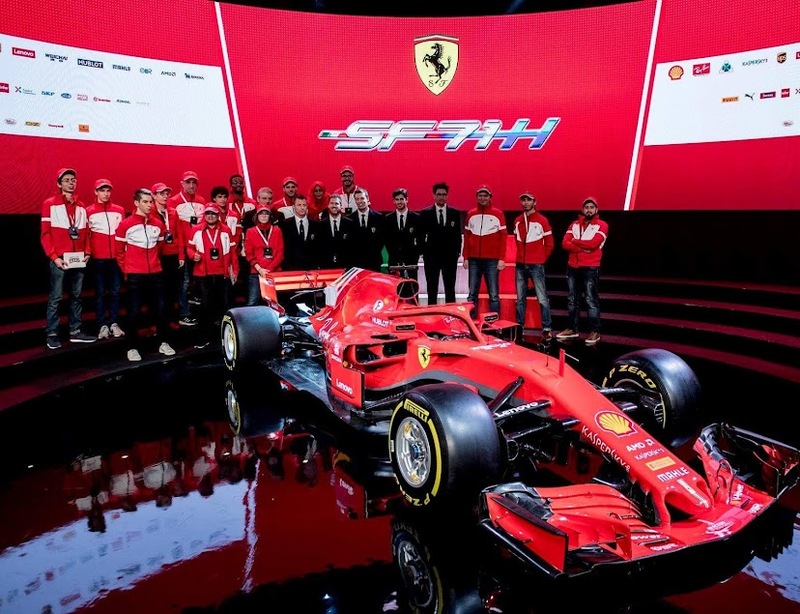 I expected very much of Ferrari as well, as the red cars were only a couple of tenths off Mercedes´ pace in the practice sessions. The Silver Arrows were the first top cars to come out in Q1. Rosberg showed, that his top form hadn´t gone anywhere, and took P1 with his teammate Hamilton second. The Red Bulls came out not until at the end of the first segment, and especially Verstappen made it with style! The 18-year-old Red Bull pilot showed everyone, that he hadn´t been promoted to Red Bull without a reason; he stormed to third, being half-a-second off Rosberg´s pace but two-tenths faster than his teammate Ricciardo! Kimi was 5th and Sebastian 6th, but at this point I wasn´t worried about Ferrari´s pace. Renault´s Palmer was the first driver to be eliminated from Q2. The highest profile casualty, however, was Williams´ Felipe Massa, who failed to get through to Q2 after an apparent timing error made by the team. Both Saubers and both Manors were also out of Q2, which didn´t catch me by any surprise. Hamilton was the first driver to come out, when Q2 got underway. The Briton absolutely smashed his teammate by six-tenths in the second session! Sensational Verstappen carried on where he left off in Q1 and made it third again in Q2. However, there was a one-second gap to Hamilton in the lead. Kimi and Sebastian in their Ferraris came out not until there were only 5 minutes left in the clock. Kimi ended up making a mistake on his first run and in addition to that, the Iceman was caught in the traffic, so he had to pit for a fresh set of soft tyres. Luckily the Iceman managed to do a very decent second run, which made him jump 4th, right ahead of his teammate Sebastian. However, in the closing stages of Q2, Red Bull´s Ricciardo managed to make it fifth, splitting the Ferrari duo. Once again Verstappen was faster than his Australian teammate! That wasn´t the case for Kvyat, who had been demoted back to Toro Rosso. The Russian got beaten by his Spanish teammate, who managed to make it through to the final session, but Kvyat instead had to settle for P13. The biggest surprise in Q2 was McLaren´s Alonso. McLaren made Q3 for the first time since 2014! Force India´s Hulkenberg was the first faller in Q2, and out of Q3 were also Button in his McLaren, the Haas duo of Grosjean and Gutierrez and Renault´s Magnussen. Hamilton´s first run in Q3 saw him fastest in the first two sectors, until he locked up and ran wide at Turn 10 in the final sector. After the first runs Rosberg had provisional pole, sensational Verstappen was 2nd and Hamilton third. Kimi set his first time on a used set of soft tyres, and the Finn had a lot to improve on his second run. Hamilton got it together when it mattered, and the Briton stormed on pole after driving an unbelievable lap. Rosberg improved on his second run, but was still three-tenths down on his teammate. The Red Bulls of Ricciardo and Verstappen conquered the second row, Ricciardo finally being the faster of the Red Bull teammates by four-tenths. The session was a disaster for Ferrari, with Kimi only fifth and Sebastian sixth. Both SF16-Hs looked a handful. Thus the grid will line up: Bottas 6th, Sainz 7th, Perez 9th and Alonso 10th. Where did Ferrari´s pace disappear after this morning´s FP3, where the red cars had seemed extremely competitive? Both Kimi and Sebastian were over a second off Hamilton´s pace in the qualifying! Now I´m starting to wonder, how the situation is in terms of the long-run pace. On Friday Sebastian´s long-run pace seemed to be the best of all, but is it only window-dressing, just like Ferrari´s pace on one lap? Will Mercedes smash Ferrari in the race, like they did in the qualifying? In addition to all of this, there might be a penalty coming for Kimi for an unsafe release in Q3, as Kimi was released from the pits dangerously ahead of Mercedes´ Hamilton. Verstappen´s debut at the wheel of RB12 has been almost too good to be true. How will this young man cope with the pressure tomorrow, when the lights go out? Red Bull seems to be extremely competitive at Circuit de Catalunya, so Verstappen has every opportunity to make it on the podium. All he has to do is to keep his head cool and take a wise start!